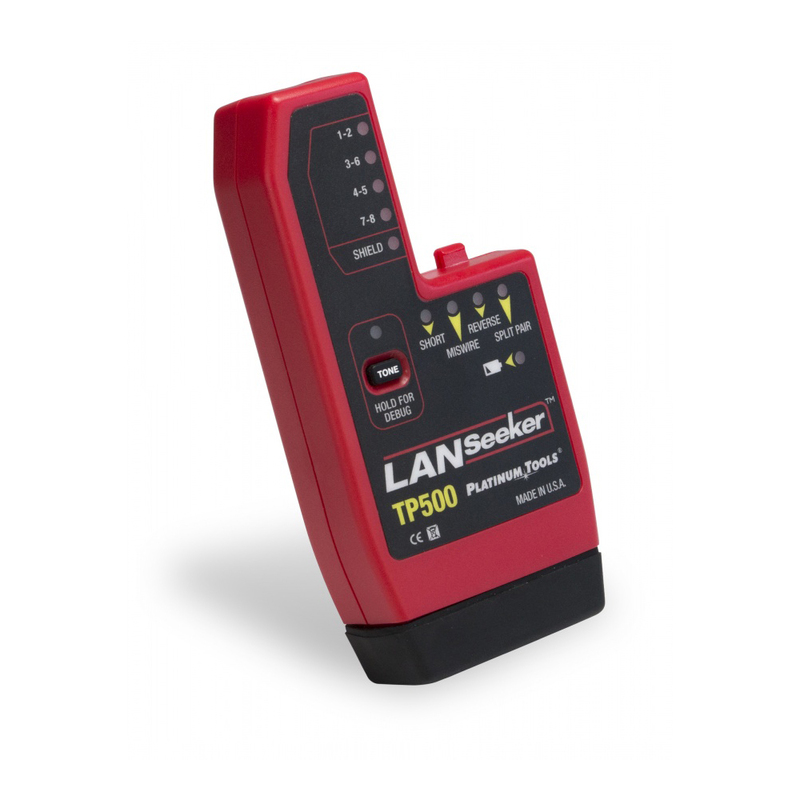 The LANSeeker Cable Tester is a fast, rugged cable tester and tone generator in one unit. 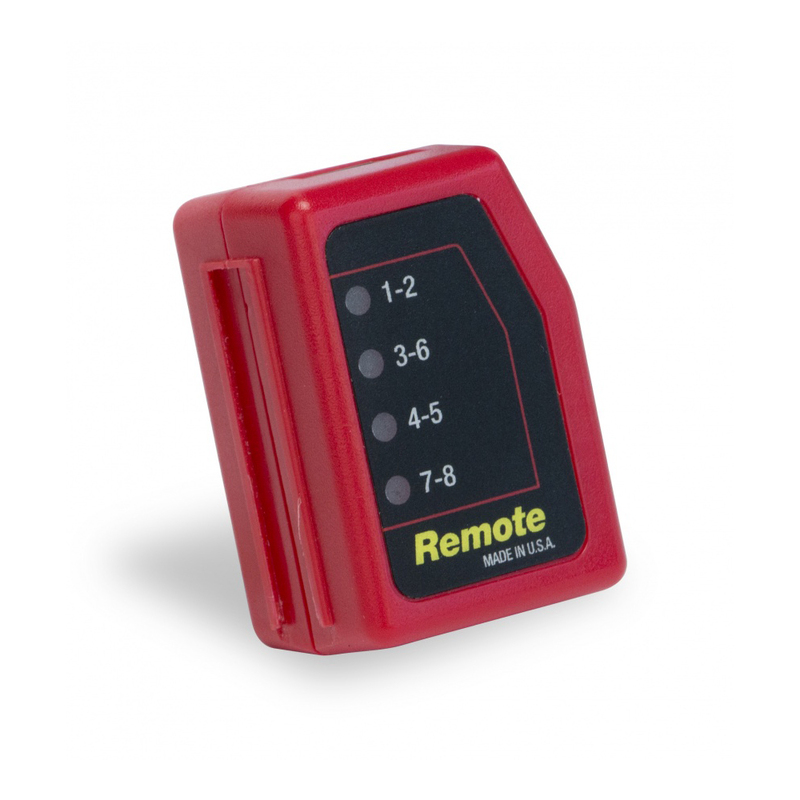 It displays cable test results using LED indicators on the main and remote unit. The LANSeeker Tester is an easy-to-use professional grade tool. When the unit senses a connection between the main and remote unit. the battery-saving auto-on feature initiates test results within 2 seconds. 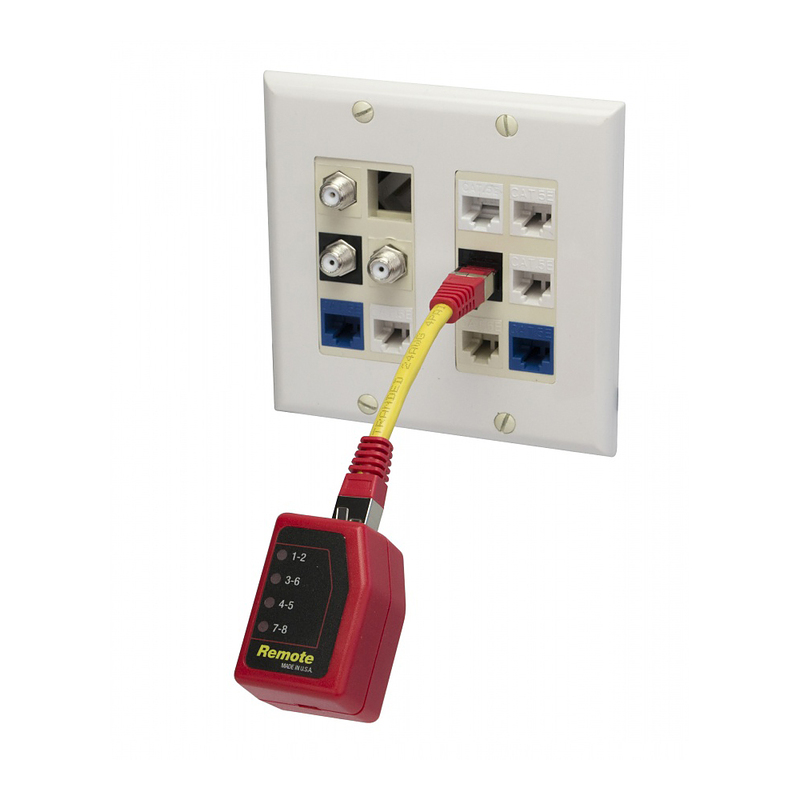 The tester automatically powers off within 5 seconds of the cable being disconnected. LANSeeker tests for shorts, opens, miswires, reversals, and split pairs and can display connection and fault information on a pair-by-pair basis. It also generates audio tones for use with tone tracers on all pairs. 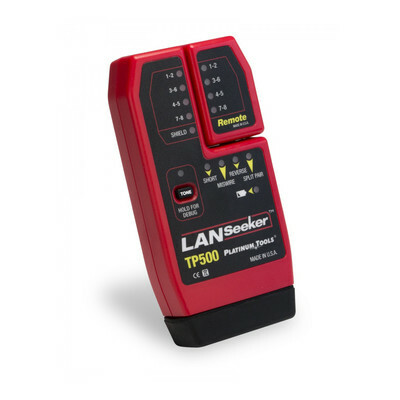 Platinum Tools LanSeeker Network Cable Tester.